Blossom Beauty Studio is proud to be in Rancho Cucamonga serving the community. We believe that beauty is about being comfortable in your own skin, and we are here to help you achieve that. 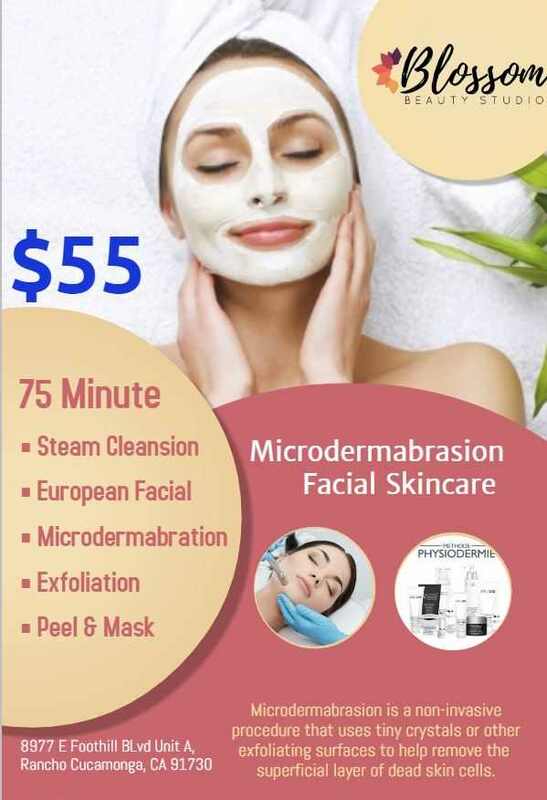 Microdermabrasion exfoliates, removes dead skin cells, treats fine lines & wrinkles, scars, sun damage, age spots, redoces pores, congestion, removes blackheads, treats Dehydrated skin, Acne, Dry skin & Pigmentation problems. At Blossom Beauty Studio, we always offer more than you expect. 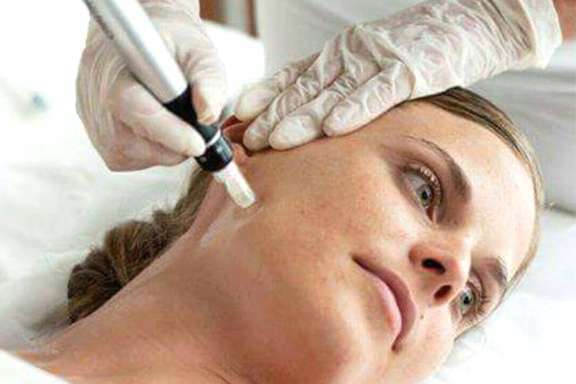 When you select one of our chemical peels, you may also opt for our microdermabrasion skin preparation. 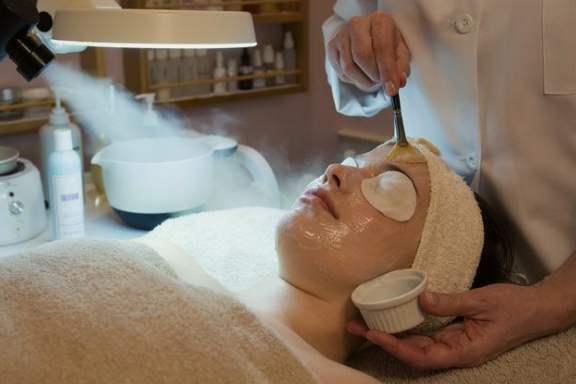 Microdermabrasion before a peel helps skin to better absorb the exfoliating acids for more noticeable results. 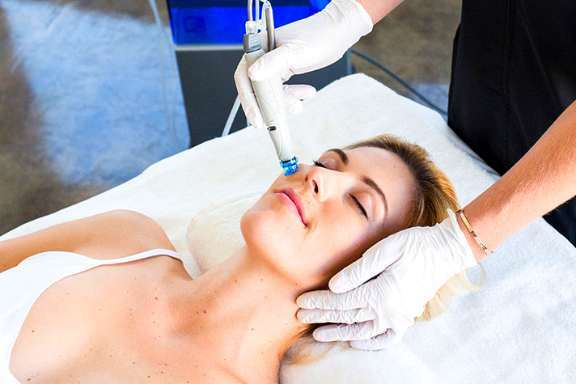 Micro Needling activates cellular regeneration to help tighten and lift skin, while minimizing skin problems such as acne scars, fine lines, dull skin, poor texture and much more. This procedure lifts and tightens the skin while providing texture improvement and scar treatment for all ages and skin types. With Micro Skin Needling you get smoother and younger looking skin without the side effects or downtime of cosmetic surgery and lasers. 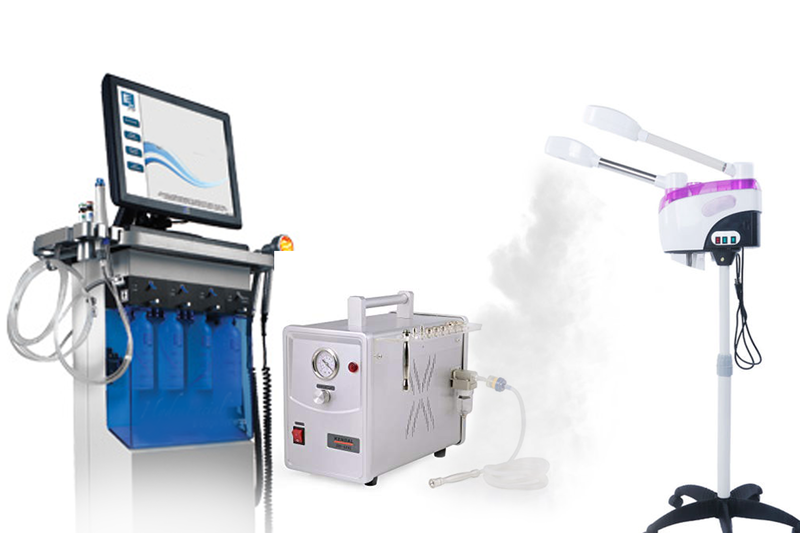 This machine packs a lot of technology that will reduce wrinkles and smooth your skin. This is transformational, and why we had to bring this into our studio! Better yet, it is a very relaxing procedure – without the mess and downtime of chemical peels. Our mission is to provide our clients with the benefits of cutting edge technology.